Anna Maria Island News - The Anna Maria Island Islander - "The Award Winning & Best News on Anna Maria Island, FL Since 1992"
A committee to recall the November 2009 election of Anna Maria Commissioner Harry Stoltzfus has been formed and the petition to organize a recall vote will begin circulation April 22, Bob Carter said. Carter, an Anna Maria resident who works for a global philanthropic company, was named committee chair. Records requests last week by attorney Jeremy Anderson, along with previous records requests from a Sarasota legal consultant, are burdening Anna Maria’s four-member administrative staff. Anna Maria Mayor Fran Barford said city clerk Alice Baird is “overwhelmed” with all the work involved, and other staff members are handling many of her normal duties. The Manatee County Utilities Department will shut off water service to the north end of Anna Maria Island at 2 a.m., Friday, April 23, for a brief time. The Bradenton Beach Police Department will be patrolling its waters this month to monitor for improper waste disposal from boats. The BBPD is partnering with the U.S. Coast Guard and the Manatee County Sheriff’s Office on the campaign, according to Chief Sam Speciale. The case against a Holmes Beach man accused of sexual battery involving a minor was closed after the state declined to pursue charges. Richard S. LeGore, 66, was arrested at his home in the 2800 block of Gulf Drive, Holmes Beach, on June 20. A probable cause affidavit alleged that LeGore molested a young girl with whom he is related. 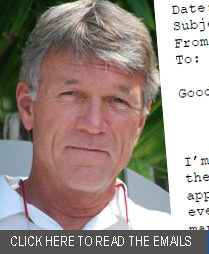 The body of a diver who went missing April 3 was found April 18, according to a report from the Florida Fish and Wildlife Conservation Commission. The FWC is investigating the death of Ronald Wunderlich, 35, of Sarasota. The Los Angeles County Sheriff’s Department continues to search for a former Anna Maria Island woman missing since Oct. 18, 2009. Last week, the husband of Dawn Marie Viens, 37, of Lomita, Calif., told the Daily Breeze newspaper in California that he would offer a reward for information in the case, but he’s broke. A suggestion by West Manatee Fire Rescue District Commissioner John Rigney to have public comments available only during public hearings was rejected at an April 15 meeting at Station 1 on Marina Drive. 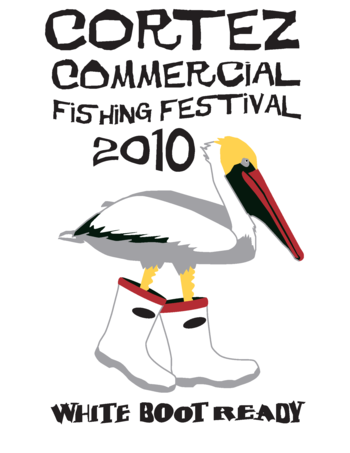 The commissioners opposed the suggestion in a 3-2 vote, much to the liking of Holmes Beach Commissioner Al Robinson. Chris Pate of Holmes Beach won the grand prize in The Islander's annual Top Notch contest with his photograph of a wave-skater at White Avenue beach. Pate won $100 from the newspaper, plus gifts from Islander advertisers, including a $50 gift certificate from the Chiles Restaurants Group, a $50 certificate for Hair's to You Salon, a $25 certificate from Mister Roberts Resortwear, a $10 certificate for Minnie's Beach Cafe and the framing of the winning photo by Karly Carlson Custom Framing. 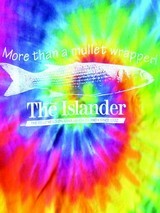 The weekly winners received Islander "more-than-a-mullet wrapper" T-shirts and front-page placement of their photos. Next week, The Islander's honorable mentions in the popular contest. m, l, xl $10. xxl $12. m, l, xl $12. xxl $15.